Shruti Shah first came to the United States from India. Having grown up, lived and attended school in very different parts of her home country—“north, south, east and west, in all directions,” she said—she has come to feel at home in Philadelphia, in part, through connections she’s made through Drexel LeBow’s MS in Marketing program. 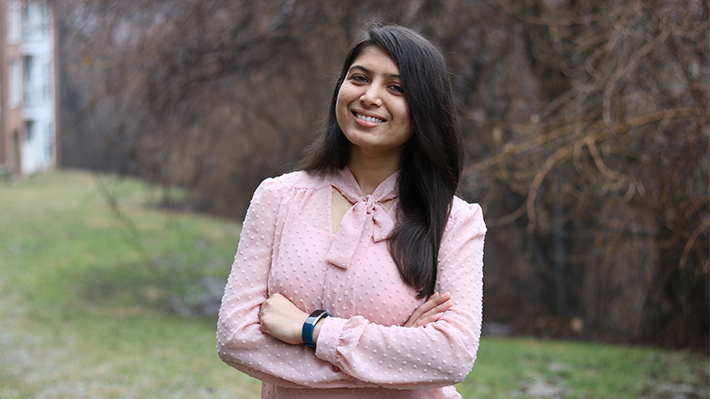 Shah says she has grown her network and her connections within Philadelphia’s business community through both program events and class assignments. Most recently, when she had to line up interview subjects for her Leadership and Development class—her final class before completing the program in the spring—she thought back to several guest speakers she heard and professionals she had met at networking events over the course of the 15-month program, and she messaged or called them to set up an informational interview. Having completed her core classes for the MS during her first year of study, Shah had availability in her schedule to fulfill a “lifelong dream” of taking a photography class. That flexibility also extended to her internship, which she undertook with Verif-y, a tech startup based in Center City. “I learned about being creative with your plans because you have a small budget—or even no budget—to reach your target audience,” she said.